Marshall Brown was an important person in Wymeswold, being grocer, postmaster, photographer, and census enumerator. His shop was on Church Street. 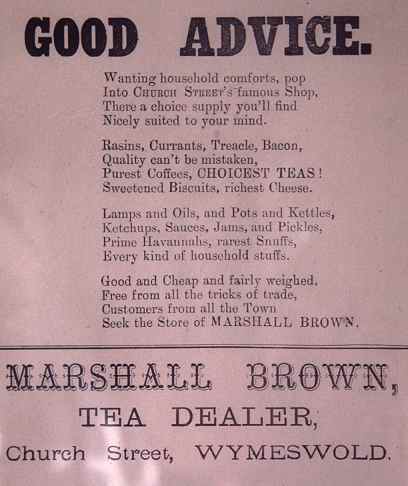 Reproduced by kind permission of Miss Joy Brown, great-grand-daughter of Marshall Brown. Joy Brown's grandfather, Philip Brown, told her that these verses were accepted by Marshall Brown in payment for a grocery debt.